Attention Texas long-term care providers and nursing facilities! 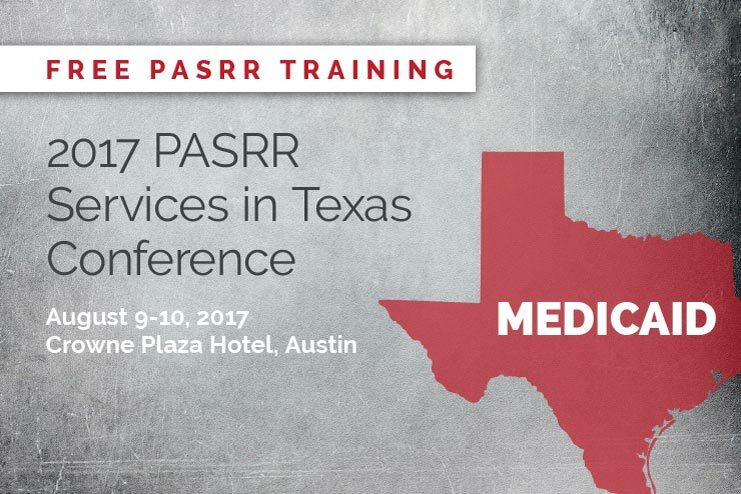 Texas Health and Human Services has announced a free, two-day PASRR training event, Aug. 9-10 in Austin, sponsored by Texas HHS. A total of 7.25 CEUs will be offered. Seats are limited and registration is first come/first served. Registration will be open until Aug. 1 or until all seats are filled. For more information and to register, visit this HHS page or email PASRR_Conference@hhsc.state.tx.us. I can not find the link to register our team. Can I get assistance with this? Hi Ginny — SimpleLTC is not involved in the conference, we’re just passing along the information to customers. You’ll need to contact HHS for more info…they have listed this email address: PASRR_Conference@hhsc.state.tx.us. I registered for a PASRR conference in Corpus for Jan 31-Feb 1 . I can not find that info anymore. Where can I verify this? Hi Rachel — We are not involved in the HHS regional training events, but you can find more info here: https://hhs.texas.gov/about-hhs/communications-events/news/2017/12/qmp-monthly-bulletin-december-2017.